Travelling changes us. As Mahatma Gandhi puts it, you get to “be the change you want to see in the world” because travel transforms us. It inspires us to be better. By taking a break from our daily routines, we get to withdraw from the pushing and pulling of responsibilities. Instead of focusing on notifications, we get to focus on new places. We become explorers. Exploration is the foundation of empowerment. You regain the opportunity to rewrite the chapters of your life while fortifying your natural enthusiasm. With travel, there are no real borders. There are just new horizons to find. 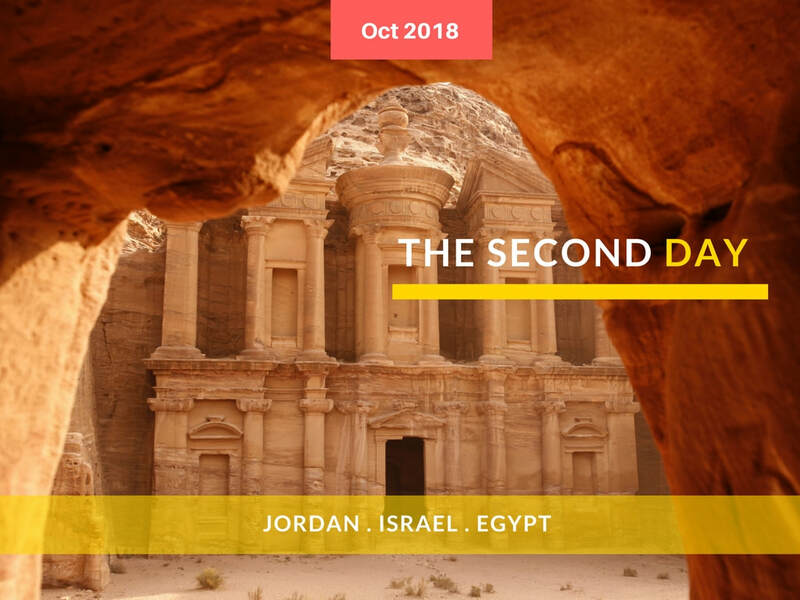 That is why the adventure that awaits in the historic nations of Jordan, Egypt, and Israel are so special. Not only is it a chance to focus on new places, it is an opportunity to discover beauty without and within. Jordan is a land of euphoria, filled with outstanding world heritage sizes, amazing towns, and stunning desert landscapes. It is a nation that has a history of welcoming visitors with a warm embrace. In the ancient days, camel caravans shuttled along the King’s Highway to exchange frankincense for spices. Monuments from the Crusaders, the Roman legionnaires, and various armies and tradesmen have created impressive sites to behold. From castles to amphitheatres to exquisite mosaics, there is something wonderful for everyone here. Situated in the very heart of Jordan’s sandstone escarpments is the ancient Nabataean city of Petra. Wandering through this pink-hued necropolis has been intriguing visitors ever site word was brought back of its existence in the 19 th century. The site is quite impressive, meshing perfectly with the surrounding rocky landscape and gorges to provide breathtaking experiences everywhere. From dawn until dusk, Petra is a true wonder that always feels like it deserves a longer visit. The desert landscapes of Jordan, however, are just as memorable. Take a ride through Wadi to enjoy a stunning sunset and you will see why so many have fallen in love with this great land. All it takes is a modest budget and a plan to follow. There are coexisting values in Jordan that must be respected to honor such a journey. The ancient traditions are still practiced in both rural and urban areas. Cultures from Iraq, Syria, and the Palestinian Territories have fused themselves together here. Despite certain challenges, it is still one of the safest nations one can visit. Jordan is exhilarating. Don’t find yourself on the outside, looking in. Few places on our planet arouse passion in the way Israel does. There is the allure of its many hills and valleys. There is the stillness of the Dead Sea. There are the colors of the majestic Makhtesh Ramon. You can explore the Medieval walls and narrow streets of Nazareth. There are the neighbourhoods of Jerusalem, each with something unique to discover. Israel is where three great religions come together. It is where faith inhabits every facet and aspect of life in some way. Israel is also a nation of complex politics, which can often be seen no matter where one may choose to explore. Yet, at the same time, the magnificent beaches of Haifa or Tel Aviv allow you to relax in the warm sunshine without the worries of the rest of the world. There are wineries in Galilee to discover. You’ll find tables stacked with mezze. For the explorer’s heart, Israel will challenge, confound, thrill, and perplex you. That is why it leaves an imprint on so many. Egypt is a land of monuments, legacies, and natural wonders. From the Nile River to the breathtaking deserts, the long history of this great nation is the perfect place to discover a new chapter in the story of your life. In Egypt, you will discover sand-covered tombs. There are modest pyramids that dot the landscape throughout, mixed in with the occasional Pharaonic temple. The Valley of the Kings in Luxor, where Tutankhamun’s tomb was discovered, is one of the great testaments to the ingenuity of ancient humanity. Many of the discoveries are on display in the Egyptian Museum, located in Cairo. You can also hop onto the Nile and go for a cruise to Dendara, Edfu, or any of the other temples that were constructed along the banks of the river. Head over to Lake Nasser to experience the masterpiece of Ramses II at Abu Simbel. Trudge into the vast desert to discover the last vestiges of ancient Roman trading posts. In Egypt, you make your own luck. Some of the world’s greatest discoveries came about because a donkey stumbled over an artifact. To make your own discovery, it is necessary to embrace the journey first. Egypt embraces the traditions of Islam and Coptic Christianity. The traditional calendar of the Copts is traced to the time of the Pharaohs in Egypt. At the same time, you’ll find ancient schools and mosques mesh perfectly with modern towers to create a metropolis that is entirely unique. From Medieval churches to remote desert monasteries, faith is embraced in its own Egyptian way here. At the same time, the coast provides an alluring opportunity to explore in other ways as well. Beautiful coral reefs can be found offshore, perfect for diving or snorkeling. Beaches offer a colorful vibrancy with all the amenities one would expect from a world-class resort. The beauty of Egypt is beyond compare. Come experience it and you will fall in love with the great landscapes of this nation, much like those who have walked the journey before you. To be the change you wish to see in this world, there must be a decision that is made first. You must be willing to change in order for change to be created. Travelling is one of the best ways to discover who you are and what the world could be. We can learn from one another. Each culture offers a unique perspective on life. Together, we are stronger than we ever could be apart. That is the ultimate joy that can be found in exploration. Not only do we discover new worlds, but we also gain the opportunity to write a new chapter in our own lives. Adventures are unlimited. Embrace the journey. Discover the Middle East with Adventures Unlimited. Click on the below image to see our October 2018 travel itinerary.